One-fifth of the Adhyakshas of the Grama Panchayats in the Taluk by rotation for a period of one year as the Adyaksha of the Taluk Panchayat may determine by lot: Provided that an Adhyaksha who was a member under this clause for one term shall not be eligible to become member for a second term during the remainder of his term of office as Adhyaksha. Have power to accord sanction up to a total sum of twenty-five thousand rupees in a year for the purpose of providing immediate relief to those who are affected by natural calamities in the taluk. in the absence of the Adhyaksha or when the office of the Adhyaksha is vacant, preside over the meeting of the Taluk Panchayat. The General Standing Committee shall perform functions relating to the establishment matters, communications, building, rural housing, village extensions, relief against natural calamities, water supply and all miscellaneous residuary matters. The Committee shall perform the functions relating to the finance of Taluk Panchayat, framing of budgets, scrutinizing proposal for increase of revenue, examinations of receipts and expenditure statements, consideration of all proposals affecting the finances of the Taluk Panchayat and general supervision of the revenue expenditure of the Taluk Panchayat and co-operation, small savings scheme and any other function relating to the development plan of the Taluk. Securing social justice to the Scheduled Castes, Scheduled Tribes, Women and other weaker sections of the society. 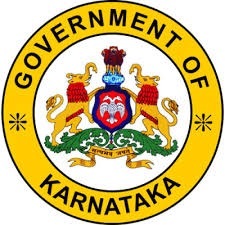 Provided that where the State Government or Central Government provides funds for the performance of any function specified in Schedule II, the Taluk Panchayat shall perform such functions in accordance with the guidelines or norms laid down for performance of such functions. acquiring land for locating the manure pits away from dwelling houses in the villages.